Have you ever thought about what your home would look like if you didn’t have gutters or downspouts? We don’t just mean the physicality of having them attached to your roof, we’re talking about the possibility of flooding and water damage to your foundation and siding. Well-maintained gutters and downspouts are the first line of defense for your home when it comes to heavy rains and storms. Their job is to whisk water away from the roof and drop it off in an area of your property where it won’t do any harm. Without them, you’d be in for a world of trouble. Starting at one end, sweep debris into a pile and then scoop it out with your hands or with a trowel. Be sure to keep dirt, leaves and debris away from the entrance to the downspout in order to prevent clogs. 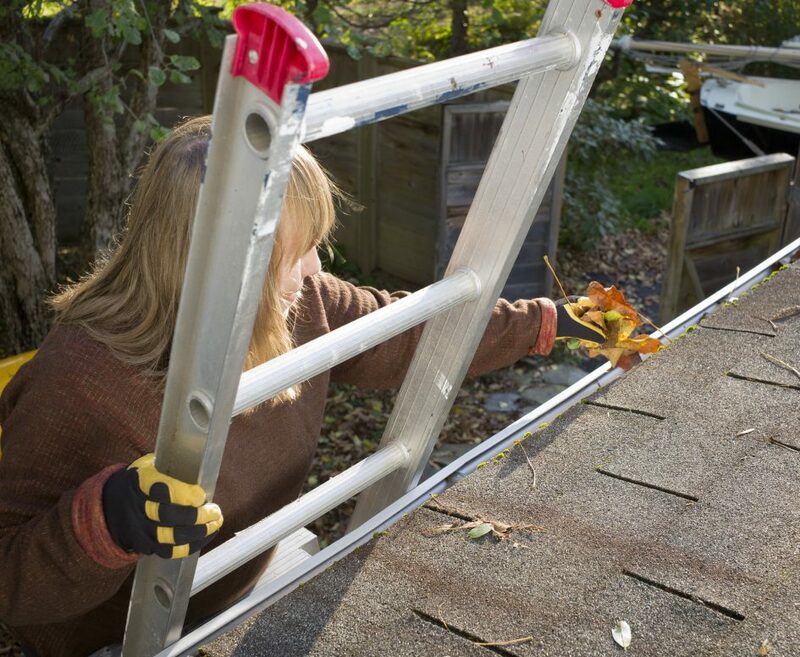 Clean as far as you can comfortably reach, and then move the ladder along to continue down the remainder of the gutter. Once the gutter is cleaned, run water from the garden hose into the gutter as well as the downspout to check for leaks. If you notice that it’s clogged, try blasting through the back-up with a powerful setting on your hose nozzle. If that doesn’t do the trick, disassemble to metal screws that hold the parts together and pull apart. Don’t want to deal with the hassle? You don’t have to worry. Cleaning gutters is not a favorite chore so why not let us handle it for you? We can schedule regular cleaning services at an affordable price, leaving one less thing for you to worry about. Call North East Home Improvement today at (203) 321-6695.